BEFORE: Part two of the double feature is Objectified, which looks into industrial design. I have decided to not include Hustwit’s third film in this documentary trilogy, Urbanized, at least for the time being. I may decide to revisit this topic in my next documentary chain further down the road. AFTER: One of the ideas that is really emphasized in this documentary is that everything you use has to be designed. Right now I’m using my computer to type this post, a lamp to light my room, and a clock to give me the time among other things. All of these objects had to be designed and each object has a reason for being. Industrial design is creating these objects for the mass market. Industrial design is a very tricky concept as it can be very personal and subjective. Not everyone likes the same things. Hustwit interviews many famous designers including Jonathan Ive (of Apple), Dieter Rams (of Braun), and Chris Bangle (of BMW). These interviews expose parts of each designer’s process but also a story of what certain products mean to them. The stories are both the blessing and the curse for this film. Some stories were quite interesting and helped me better understand industrial design. But there were also quite a few stories that did not appeal to me and made the documentary uninteresting. 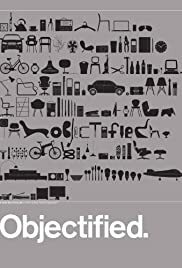 As with Helvetica, any aspiring designer should watch Objectified. It features many leaders in this field and gives new perspective on how important design is in our everyday lives. But for someone who just wants to know the light will turn on when you flick the switch, Objectified probably isn’t your cup of tea.